Live long enough, and there’s a fair chance that you’ll reach a point where you question everything about your life. Some people do it early, questioning the meaning of everything while sweating midnight deadlines for uni essays and wondering if life will play out the way they expect; other people leave it to middle age, buying the cliched red sports car and running off with a younger woman or man, or go Eat, Pray, Love-ing and discovering inner peace somewhere in the middle of Bali. 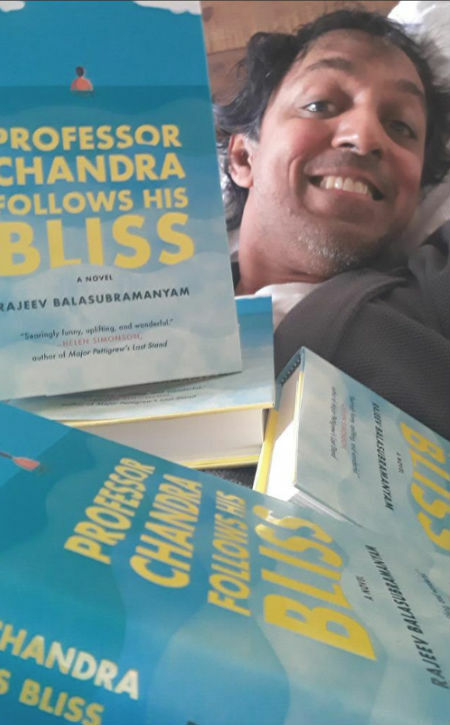 Some people though, like the titular protagonist of Professor Chandra Follows His Bliss by Rajeev Balasubramanyam, leave it to 70 when successive Nobel Prize for Economics near misses, a divorce, estrangement from his children and a sense that his workaholic academic obsession may not be all its cracked up to be, have left him wondering if there’s something more. Not that he’d admit that, of course; well, not at first. Professor Chandra is one of those people who, pushed by a cruelly-demanding, emotionally-distant father and a compliant mother, has buried his emotions way down deep, content to lose himself in a career that attracts plaudits and attention from people the world over, has seen him publish countless books and achieve far more than many men his age? But, and here comes the great big existential question of the day, is it enough? Professor Chandra suspects not but it takes much of the book, mini-epiphanies aside, for him to really grapple with the fact that he may not be that happy, after all. But yielding to a sneaking suspicion that life is going as swimmingly as you’d assumed, and what, if anything, to do about it, is another thing entirely. In an entirely-unplanned quest to get closer to his family and shake things up a little, which involves temporarily relocating to California from Cambridge, England, Chandra finds himself on a weird odyssey of sorts, propelled by yoga/meditation retreats, emotional soul-baring with people he’s just met, a love/hate/mostly hate relationship with his ex-wife’s new husband who hasn’t New Age psychobabble he doesn’t love, and confessionals with his kids who reveal unpalatable truths he can no longer ignore. It’s confronting for a man of 70 but Chandra finds himself slowly but surely embracing the fact that he got a lot wrong – prioritising work over family, claiming to feel successful when he feels nothing of the sort deep down, and chasing after all the career baubles and accolades within his grasp, and beyond, only to find that they all turned to dust in his hands. As transformational stories go, and they are very much in vogue – see Eleanor Oliphant is Completely Fine and many others – Professor Chandra Follows His Bliss is a fine addition to the genre. Though he has made many mistakes, and who of us hasn’t, he comes across as an earnest, well-meaning man who, once the kick your old life to the curb ball really gets rolling, really wants to make some changes. What is oddly lacking for a person this likeable who’s embarking on the kind of life change many people of his age avoid for a whole hosts of reasons, not least the iron clad grip of inertia, is any compelling sense that what he’s going through matters. It does, of course – the decisions that Professor Chandra makes have the capacity to wholly upend his life for the better – but there’s a sense of inertness to proceedings, as if big things are being talked about, and they are, but there’s no real emotional impact to them. 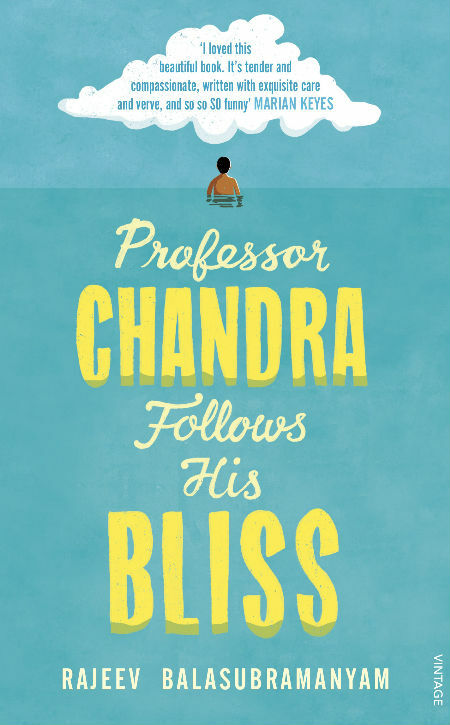 To be fair, Professor Chandra Follows His Bliss does speak to the enormity of the change, and the profound emotional waves they generate, not least with Chandra’s children, but there’s no real hit in the guts, no personal connection that manifests to the protagonist and his life-changing journey. That’s not to say this isn’t a highly-enjoyable book to read. It thankfully avoids the near-exhaustive betterment militancy of Your Second Life Begins When You Realize You Only Have One by Raphaëlle Giordano, which read more like a runaway Tony Robbins seminar than an emotionally-involving life change, but even though the protagonist is well meaning and likable and all the other characters feel like they people you want to spend time with, and I quite happily did, there just wasn’t that sense of someone’s life really turning on its axis and heading off on a new path. The thing is, the book comes close and there’s a lot to like with the conversations between Chandra and his children particularly feeling very real and the sense all of us, well most of us, have had at one point or another, that life simply isn’t delivering and that we might well be to blame but in the end while Professor Chandra does indeed follow his bliss and you’re happy for him, this mostly-engaging novel never really feels as impactful as you might expect.